On behalf of the coaches, we are proud to announce that Brandon & Max have both signed up with the Greenock Morton FC Academy. 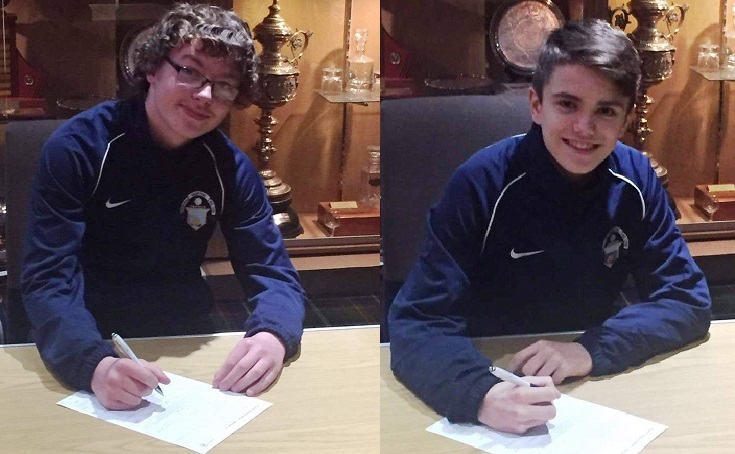 Both lads have been a pleasure to have in the club and will now look forward to a fresh new challenge once the current PJDYFL season finishes with Giffnock SC Black. Hopefully the boys go on and have a long & successful career ! Again… well done lads and also to coaches Mark, John & Craig who invest their own free time into working tirelessly with the squad week in, week out.